Over the past few weeks, I’ve been coding like crazy. The three biggest outcomes of this frenzy have been this new blog design (switched finally away from WordPress and took the plunge back into the world static sites using Hugo), a new Google Sheets add-on for managing Google Tag Manager containers and assets, and a Slack integration in GTM Tools. In this article, I’ll quickly introduce the last two, as I’m writing a separate article about the site redesign. 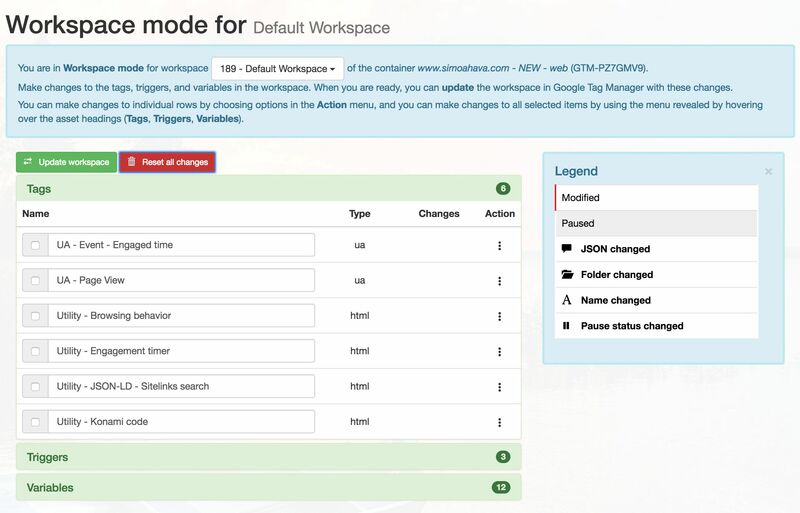 With the release of the latest Google Tag Manager API version, it’s time to release the new version of GTM Tools. Most of the changes have been done under the hood, with the entire codebase refactored for improved stability. I released the first toolset in October 2014, and quickly released an updated UI a few months later. Aside from a few bug fixes and stability improvements, the tools have remained largely unchanged since then. (UPDATE 3 Apr 2017: There is a newer version of GTM Tools out, so please ignore this article and read this one instead.) So, the time has come to update my GTM Tools. I released the first toolset in October 2014, and it performed its duties just well enough. Sure, the UI was ugly as hell, and there were bugs along the way, but for cloning containers, macros, and rules, and for visualizing containers, it was just good enough. I’ve written a completely revamped version of this toolset for Google Tag Manager V2. Well, I just yesterday published the first of my GTM API tools (the Container Visualizer), and I vowed that I wouldn’t release the other tools for a number of reasons. The reasons were good, in my opinion (especially the part about the tools being ugly as crap), but on the other hand I don’t want to keep anyone away from the amazing potential of the new API.